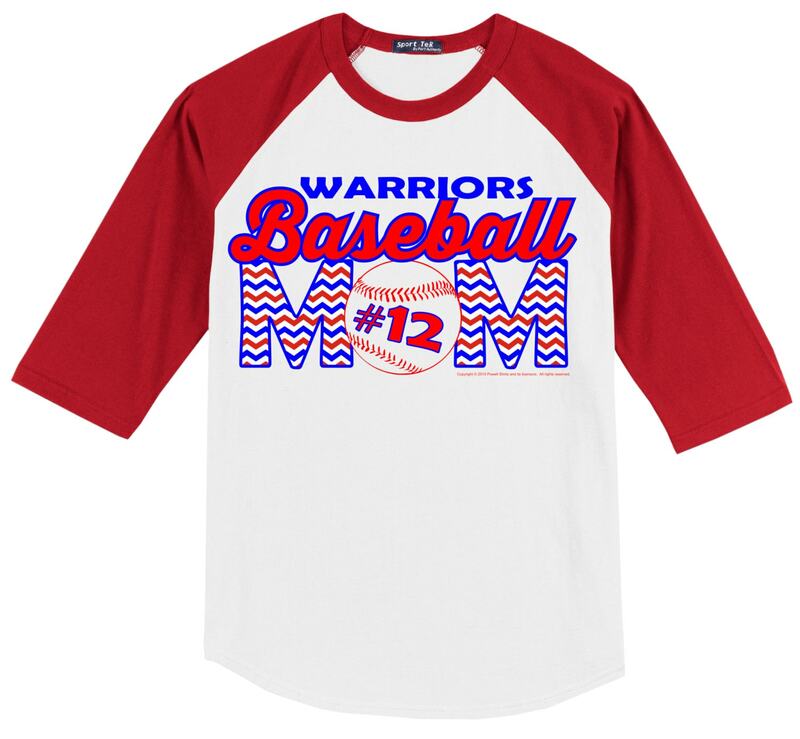 Personalized Baseball Mom T Shirt/baseball style raglan. Available in several color choices, in your choice of print color, personalized with your team name and number. Please be sure to send us your print color choice (please limit this to two colors plus the base color of the shirt), team name, and number (if applicable) when you order. Please note - there is no white in our print process, so if you order any shirt color other than white, we cannot print white or other light colors onto the shirt. If you want a shirt for a sport or activity that we don't yet have listed, contact us, we'll be glad to create a design for your sport or activity.